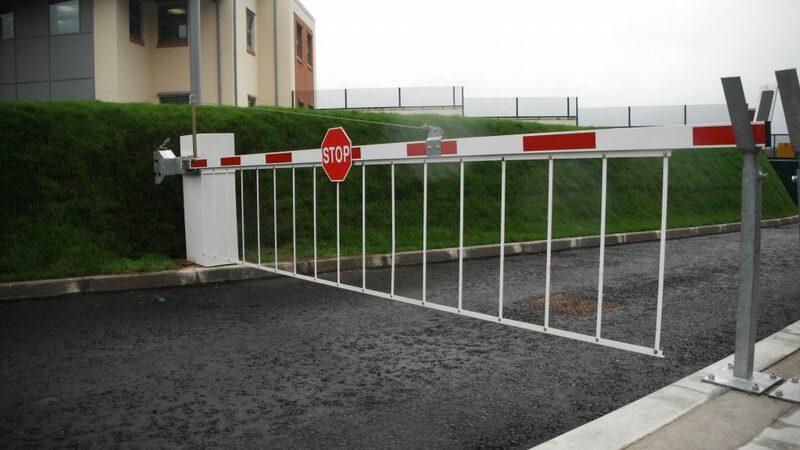 It can easily integrate with revenue collection and access control systems and is recommended for a wider road width or if signage, lights or drop skirts are required for the boom. The barrier stands 1135mm above foundation level, with the boom 840mm above foundation level. The heavy duty motor plate supports the 100% duty cycle permanent capacitor 4 pole T.E.F.C. motor which provides the power for the toothed belt driven industrial grade gearbox, which in turn drives the sinusoidal output mechanism. Two heavy duty bearings support the drive shaft; this having 2 machined cams to activate the adjustable limit switches to control the boom travel. The hinged/removable lockable steel top cover provides access to the drive mechanism. The cabinet houses the ‘parking logic’ control panel, providing the necessary power supply isolator, fuses, thermal overload trips and motor contactors. For boom lengths greater than 5m a straining wire is added for additional stability, along with an adjustable spring loaded end steady/pogo support to suit, recommended when equipment is added to the boom. Construction: The all steel cabinet and cover are shot blasted, to give a clean grease free surface providing maximum keying effect for the two pack high zinc primer, 40 microns followed by a yellow (RAL1007 other options available) textured polyester powder coated top coat, 40 microns. 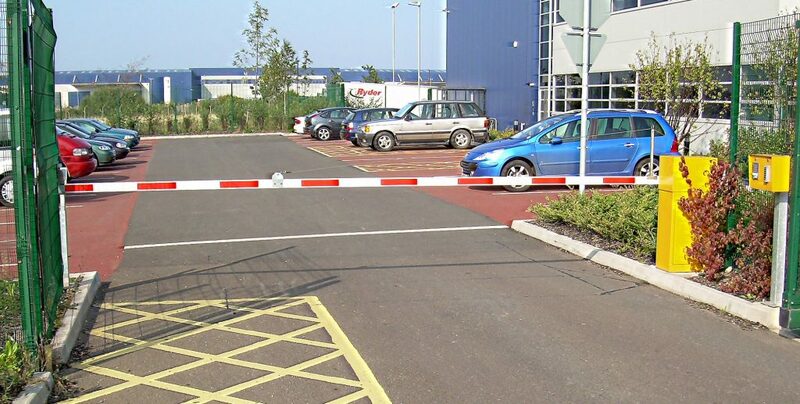 Rectangular extruded aluminium 76 x 38mm white powder coated with red fascal striping (black and yellow option available) Max length 7m. Booms are mounted on the right hand as standard unless specified. The barrier foundation should consist of grade C25 concrete and it is recommended that the barrier is secured to the foundation using 4 M12 x 160mm chemical anchors. The installation of ducts for cabling is dependent upon the control criteria.